The Lord Mayor of Cork, Cllr John Buttimer recently fulfilled an annual engagement of Lords Mayor of Cork by making a courtesy visit to the Bishop at The Palace. 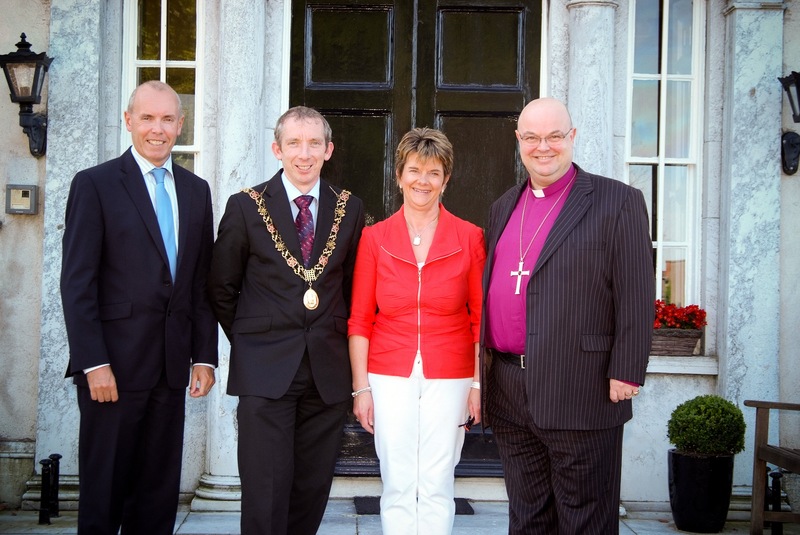 Pictured are (l-r), Cork City Manager (Mr Tim Lucey), the Lord Mayor (Cllr John Buttimer), Mrs Susan Colton and Bishop Paul Colton. This entry was posted in Bishop, Cork and tagged Cork. Bookmark the permalink.